“I just got my phone broken with screen cracked. Please tell me how to unlock my Android phone.” Nicole asked in a forum. This might be one of the disasters to common Android users, but actually there are some ways to remedy it. 3 situations will be discussed here and the related solutions will also be displayed. Please read and find your answer. The method below only works when you have logged in your Google account on your Android phone previously. 1. When you tried to unlock screen for 5 times but failed to enter, a prompt of “forgot password” will show on the lower right in the phone. 2. Tap the prompt and enter your Google account and passwords which you used in the phone. After you log in, then the pattern will be unlocked. Provided that Android Device Manager was already enabled on your phone, to get back your passwords, you can log in your Google account and connect to network as well as turn on GPS. 1. Visit the website to reset your Pin numbers and passwords: https://google.com/android/devicemanager. 2. After you sign in, please choose your device and wait it to be detected by the PC, then click “Lock” in the window and reset your passwords. If you were trapped in this situation, you would freak out to get your Android phone unlocked. It would be a bit of problem for you, but if you have enabled the USB debugging option on your phone, it would be much easier to unlock screen. Luckily, creative solutions are also listed below to solve this awkward situation without turning the mode on. Be aware that USB Debugging option on your phone should already be turned on when you try this. Download Android SDK package on your PC. Open the Command Prompt (Ctrl+ R > type CMD > Enter) on your PC and change the directory to where the ADB file is located. Enter the following command– “cd C:/android/platform-tools” into Command Prompt. Connect Android phone to your PC via USB cable and enter the following command– “adb device”. When your phone is detected, you’ll see some numbers in the Command Prompt window. Type the following two commands. You’ll need to type in the second command– “shell input keyevent 66” immediately after the first one– “adb shell input text 1234”. Then replace 1234 in the first command with your actual password. This method succeeds in working without turning debugging mode on, but only works with the devices supporting USB OTG. Plug in an OTG cable (it’s available on Amazon or elsewhere) into the micro USB port on your device. 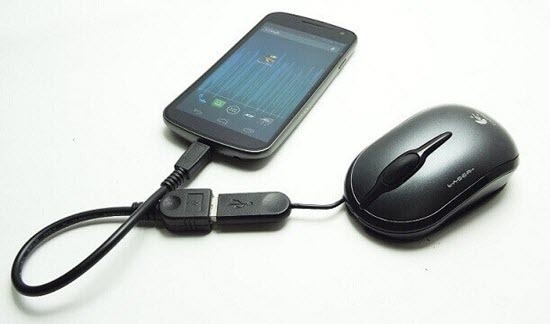 Insert a USB mouse into the other part of the cable. If your device is compatible with USB OTG, with the mouse accessible to your Android device, you’ll see a mouse pointer under the broken screen. Please left click and draw the Pattern, or enter the password by clicking on the digits to unlock screen. This tool is only for Samsung mobile phone in the case that you have formerly registered Samsung account on your phone. Go to Samsung Find My Mobile and sign in with your registered account. You’re supposed to see your registered phone on the left hand side bar, in the Find My Mobile account page. Select “Unlock my screen” and select “Unlock” to wait a few seconds for it to finish. You will get a notification pop-up to inform you that your screen is unlocked. You can call your locked cell phone from another one and accept the call, then hit the back button during the call which will give you access to your phone. You should go to the security settings and replace the original password or pattern (If you forgot it, try out different combinations until you get it right) with a new one. This way is probably not able to unlock any Android phone, but you can give it a shot on the condition that parts of the touch functionality still work on your phone. 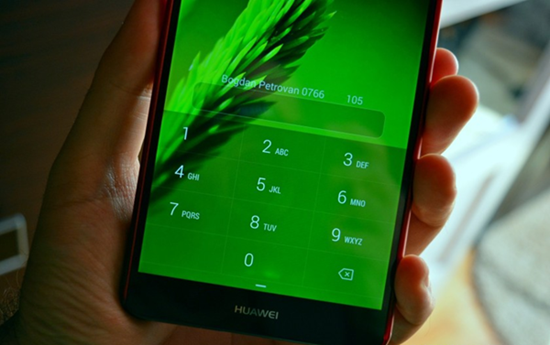 To unlock a cell phone is not an easy stuff, precaution is better than cure, so should you write down your passwords and pin number and toggle your debugging mode on immediately. After you unlocked the phone, if you find some files lost, you ought to recover data from the Android phone as soon as possible. Let this unlock thing be a lesson in the value of having backups!